I Have A New Site Called Chocolates and Crockpots! Come Check It Out! : P F Chang's new menu items! P F Chang's new menu items! One of Hubby and I's favorite places to eat is P. F. Chang's! It's a treat every time we go. Their food is amazing and the ambiance is spectacular. It's the kind of place you can dress up nice for, or throw on your favorite pair of jeans and fill up on great food. They have this great mix of Asian and American culture you experience the moment you walk through the door. Not to mention the amazing food! They have yummy appetizers like egg rolls and ahi crisps, warm soups like their hot and sour soup, entrees with your choice of pork, chicken, or seafood and much much more! 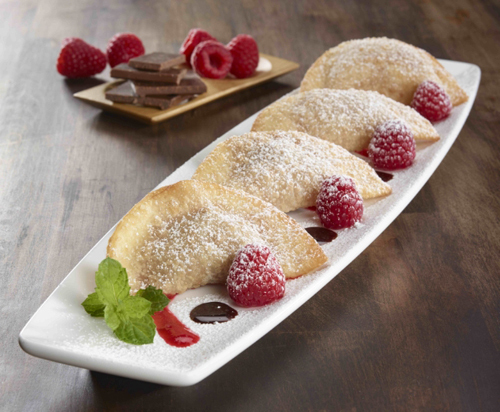 I wanted to introduce you to one of their amazing desserts...the Chocolate Raspberry Filled Wontons! Don't they look amazing! I think I could eat the whole order by myself! I'm a sucker for anything raspberry and these are the epitome of a great raspberry treat! And I'm a big big fan of anything chocolate! Speaking of chocolate...another wonderful menu item they now have is their Peppermint Mocha Cappuccino! We just got 11 inches of snow dumped on us last night, and this is the perfect drink to warm me up! It's got just the right mix of minty peppermint and creamy chocolate to satisfy and sweet tooth. I wish I had a huge mug of it right now as I stare out my back window and see snow drifts mounting up all around us! Hope everyone is safe and warm and has power. Whenever you can get out of your house, head over to your nearest P. F. Chang's to try out their newest menu selections! Or click below to decide what you want before you get there! 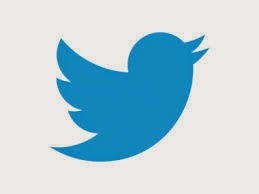 Follow them on Twitter and Pinterest for up-to-date deals and promotions, too! What's your newest favorite thing on the menu? I think I'll have to try Chang's Spicy Chicken followed by those amazing Chocolate Raspberry Wontons! You are so right....looks amazing! 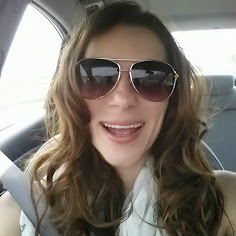 Hey, stop by my blog hop tonight and share this?